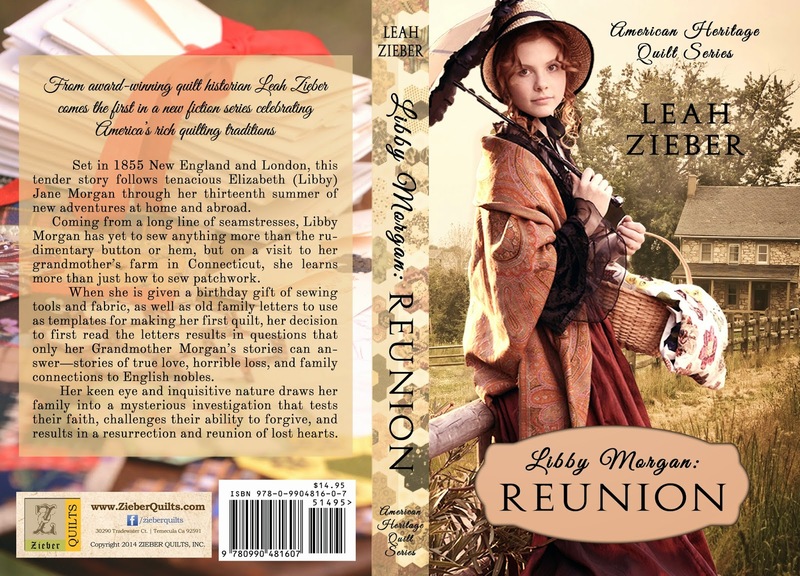 Congratulations to Leah Zieber on the publication of her debut novel, Libby Morgan: Reunion, the first book in the American Heritage Quilt Series! I am so excited to finally be able to share this book with everyone! Leah is an award-winning quilter and quilt historian. She travels the country attending quilt shows and presenting workshops and lectures on preserving America's rich quilting traditions. This book has been a true labor of love for Leah, and I am honored to have been a part of her journey. I performed a copyedit, and I designed the cover. 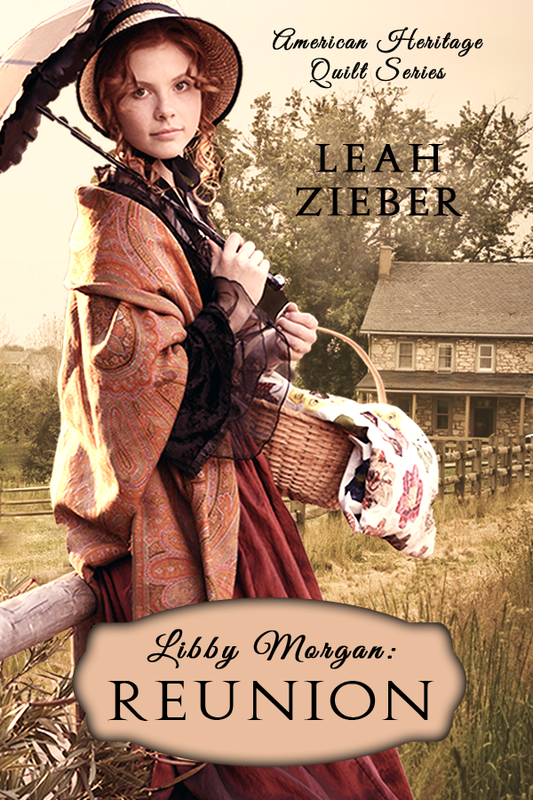 Libby Morgan is available now in print on Amazon (Kindle book coming soon) and as an ebook at Barnes & Noble and Smashwords, and you can add it to your shelves on Goodreads. And if you have an interest in America's quilting history, you've got to check out Leah's website, where she blogs about quilting and has tons of gorgeous photos, including more from the cover photo shoot! Gorgeous! I love it. It's especially cool that it's her daughter on the front. How wonderful. I'm sure the daughter is super proud!! Thanks, Tara! Not many authors have the connections to set up their own historical photo shoot, but Leah really lucked out!